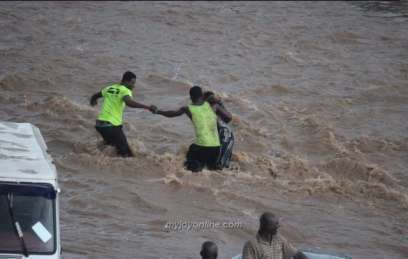 Three days of torrential rainfall has practically sunk Accra, the capital of Nigeria's neighbouring country and preferred destination for many Nigerians, Ghana, as the commercial nerve center of the former Gold Coast has been going through difficult times. 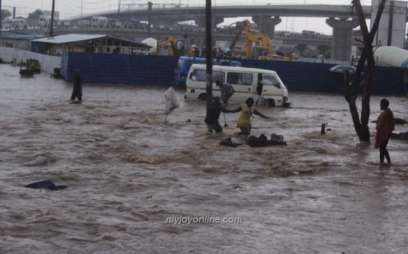 According to Myjoyonline, the rains which has been pouring in great torrents since Tuesday, June 7, has left large parts of Accra in terrifying floods. There are fears that the current situation could be a repeat of the deadly June 3, 2015, flood disaster, where more than 159 people died in a combination of flood and fire disaster that was described as the worst disaster in the history of the country. In that great calamity, what started the night before as a heavy downpour at the center of the country’s capital, the Kwame Nkrumah Circle, was aggravated after a nearby fuel station exploded in the downpour, leaving many Ghanaians dead whiles scores sustained varying degrees of burns and injuries. As reported by Myjoyonline, almost all the roads in the city have been under the flood threat with the road beneath the Circle bridge submerged and vehicles coming from Ring Road could not move through the flooded area except for some construction trucks and trailers. 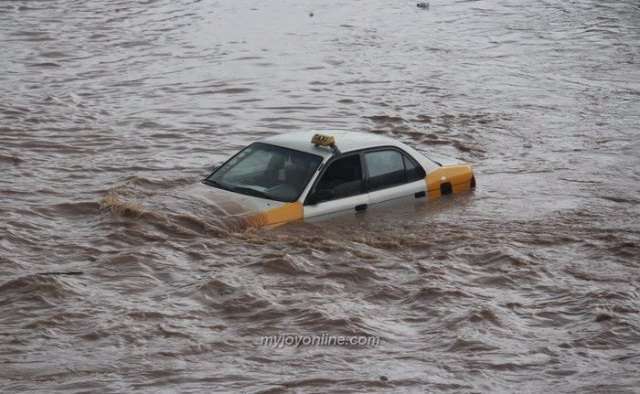 'Residents of Accra have been thrown into a state of fear after news broke that parts of the capital have been submerged following heavy downpour in the early hours of today. 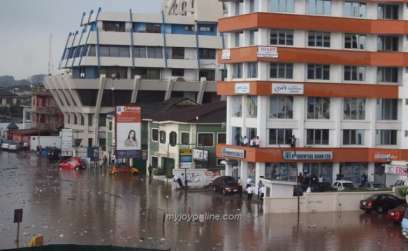 According to media reports, areas including Kwame Nkrumah Circle, Dzorwulu, Mallam Junction and Kaneshie were inundated with water destroying household properties.